Hi folks, Doc here. 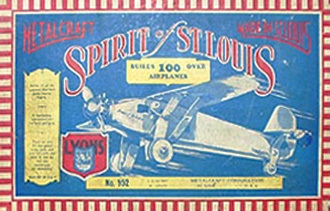 During the late 1920s and well into the 1930s the Metalcraft Corporation of St. Louis, Missouri (Metalcraft Lyons after 1929) was producing a line of unique metal construction sets. 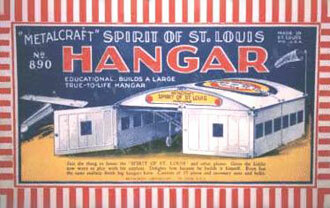 They are probably best known for their airplane sets based on Charles Lindberg's Spirit of St. Louis. 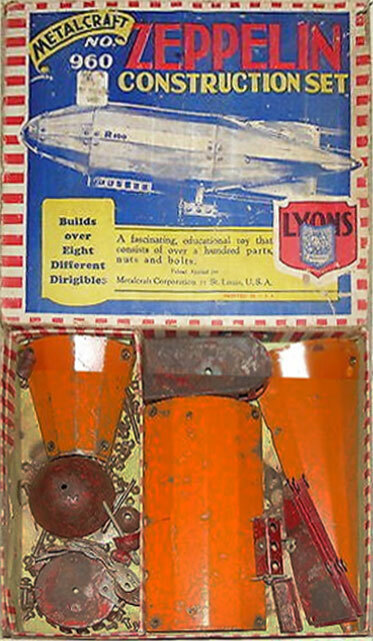 However, fans of A.C. Gilbert's Erector and many other systems will appreciate what may be their most impressive sets, those based on famous airships of the period like the Graf Zeppelin. Like almost all of the other the metal construction systems I have profiled on this website, Metalcraft sets feature nearly all metal parts and screw and nut construction. However, unlike those other systems, which feature standard part types like plates, girders, angles, etc. 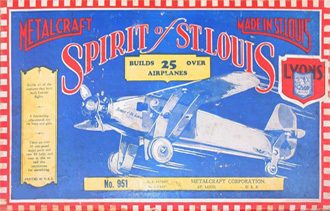 for building an almost endless series of models, Metalcraft sets were designed to build a series of one-off toys, each with a specific theme, using specifically shaped and formed parts (see photos below). 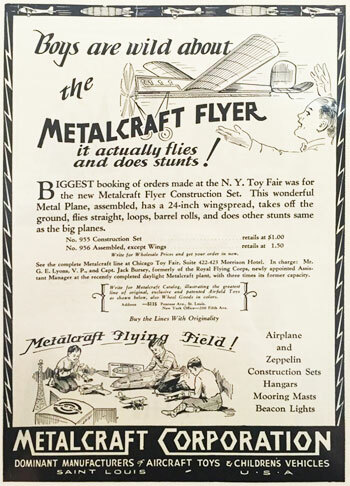 As such, Metalcraft sets, like Dan Dare sets which appeared some years later (and which I have also profiled here on this website), might be considered the predecessors of the plastic model kits that would come to dominate the building hobby in later years. 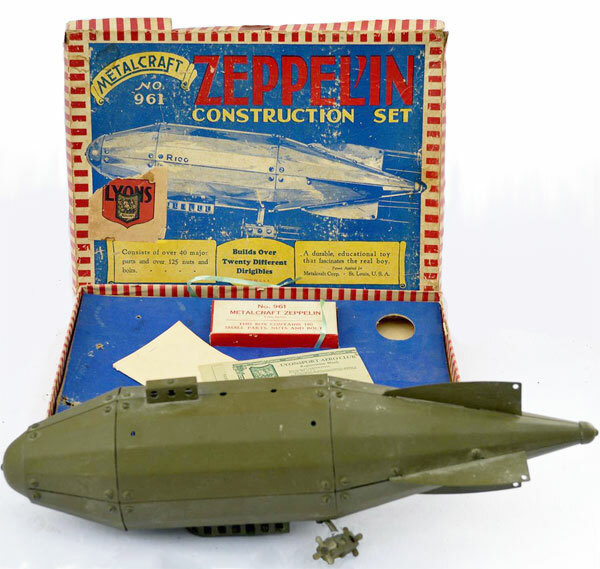 Despite this, sets produced by Metalcraft, Dan Dare, and similar brands were still designed to build multiple models. 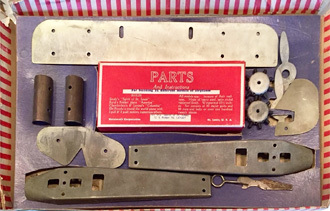 As stated previously, Metalcraft parts were made from stamped and formed sheet steel. Screws had round slot heads with 6-32 threads, nuts were hexagonal and on the large side (7.9 mm wide). 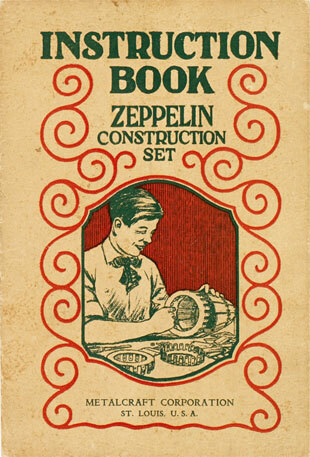 Due to the nature of the single purpose parts, hole spacing varied as each part dictated. 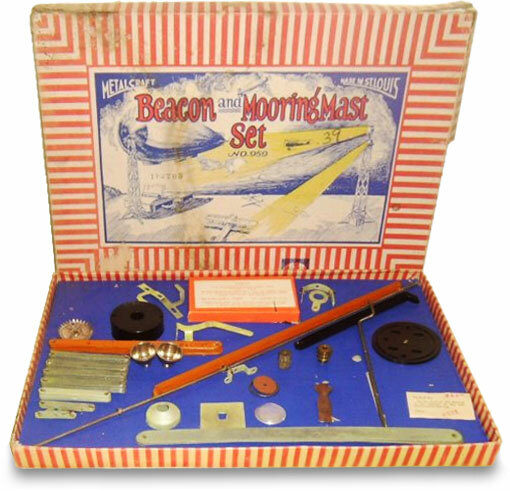 Many sets had parts with a tinned metallic finish, but in selected sets like No. 960 and No. 961 the parts were painted. Set No. 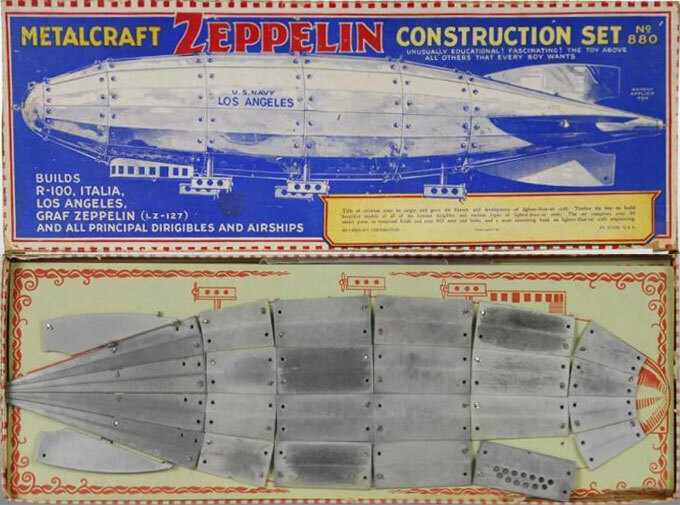 880, the largest of the Zeppelin sets; builds models of the (per the box lid) "R-100, Italia, Los Angeles, LZ-127 Graf Zeppelin,and all principal dirigibles and airships"